Your Jeep Wrangler JL is a reliable and rugged vehicle, but many of the standard versions, especially those off the assembly line, are not ready to hit the off-road trail. 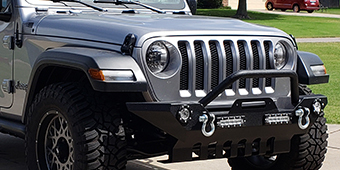 In order to make sure your Jeep Wrangler is able to take on the off-road pavement and dusty thoroughfares, you may need to make some slight modifications to your rig. 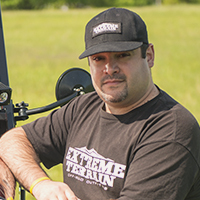 One of the modifications you may need to make is to add beefy tires to your machine. 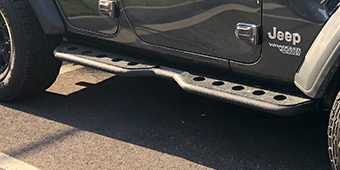 The standard Jeep Wranglers do not accommodate for these larger tires and it means that you need to replace the 2018 Jeep Wrangler JL ring and pinion gears too. Once replaced, you will be able to add any size tire you want to your ride. At Extreme Terrain, we provide you with a wide selection of ring and pinion gears to choose from. Pick out your new set and get them installed quickly for off-road fun.